For memory, we're filtering for the best-priced 2x8GB kit of DDR4 RAM that would match a black and white build and also is 2800 or faster. Feel free to click the "From parametric filter" link to see the various options and pick a color that suits you. Just a note out there for the i7 9700k vs i7 8700k people. The 9th gen i7's are for sure better than the 8th gen i7's. Having 2 more physical cores have always and will always be better than having 4 additional threads. Many workstation applications have not been able to efficiently use the hyper threading to the full potential advantage, and even games. This shows why i7 9700k outperforms in the majority of games and workstation programs over the 8700k. In terms of the value perspective, is the slight performance increase of the 9700k worth the current 60-70 dollar more than the 8700k? In my opinion: no. The 8700k is a better value than the 9700k currently for sure, but this is to deduce the some ridiculous claims people have out there that the 8700k is better than 9700k because it has hyper threading and 12 threads while 9700k is locked and only has 8, which is obviously not true at all. dang. A whole 0.1 fps? This build guide is incorrect, the 9700k does NOT support hyperthreading, it's 8 core/8 thread only. Woop, thanks for catching that! Is this the correct one? "Intel - Core i7-8700K 3.7 GHz 6-Core Processor"
In terms of featuring Hyperthreading? Yes, the i7-8700K does, while the i7-9700K does not. However, the 9700K has 2 additional physical cores . Is it better to wait on Cyber Monday? To buy all this part? Can someone please confirm that this pc works and all parts are compatible? And if anyone would change something about this what they would change. I'm thinking of buying this and I need confirmation this is a good selection. Everything is working fine from what I can tell, I do not have an Ethernet cable yet so I can’t run full diagnostics but there were no capatibility issues. I chose MSI 2080 Gaming X Trio instead so it is a little cramped, but that’s no surprise. Case is good quality and relatively easy to work with, I will update once everything is running and I can take benchmark tests. This is kind of late but whaevs how is it so far like were there any issues and was everything fine? In terms of compatibility it should be fine, I would definitely go for the trident z ram because RGB..
will roblox work on this build? Barely, I would consider going for the Titan RTX GPU for at least 60 fps on low settings, lol.. It's just a filter, it gets whatever they tune the filter to at the lowest price. They aren't saying you have to buy the SSD listed. Wondering if people think the following monitor would be a good choice to maximize gaming goodness from this rig. Are there better/cheaper alternates that still hit all the sweet spots? this one is another good option. don't own it myself but it's what I intend to buy next. 1440p, gsync, 165hz, 1ms. there's a 27" version as well that sometimes goes for almost the same price as the 24". if you look around for a bit this one can be found easily for $350. This monitor does seem to be a value, but it appears to require calibration in a way I just don't see the Acer described as needing. Not sure how much difference that makes if you understand the calibration process. Or how difficult that is to learn. I'm no expert at such things myself.. Thanks for this! Looking to upgrade my RAM, so might as well buy a CPU and MOBO why I'm at it. Compatibility notes say that some drive bays may not be usable with this card. With the parts listed, will there be an issue? Is there an issue with the design because the video card may block drive bays? Has anyone tested this on high end VR performances? Any review on that? I just built this rig. I started up Star Citizen on Very High settings. A few minutes into the game and the pc shuts itself off. Is my cpu overheating? Did you find out why this happened? Probably. You should make sure the liquid cooling is working right. If I was to build this what FPS would I get on different games?! I would also would like a benchmark on different games on 1440p since I would like to make this PC! Different games like Fornite, Pubg, Overwatch and more! Just out of curiosity why did you use the zotac blower rtx card instead of the Asus turbo blower card? And again Out of curiosity why did you use a blower cooler on the cpu instead of a 3rd party cooler? I am a total newbie to PC building, but have been a long time fan of gaming, etc. I am almost 50 and decided to splurge this year with the Magnificent Intel build. This is my first ever PC. All the parts have been ordered and have arrived. But, I do have a question. As I began the build process, I watched several videos to help me along and make sure I don't end up with a brick. The MOBO and processor step has me stumped because the i7 I ordered does not include a thermal dissipator as I have seen in the videos I've watched. Is this correct? Does this MOBO not need something sitting on top of the processor to draw away the heat? Okay, now I feel stupid because I see the Cooler Master is a "CPU cooler." Pardon, my idiocy. Good luck with the build! After you've done it once, it gets easier. I honestly usually spend more time struggling with drivers, etc than the "building" part. I just ordered the parts for this same setup. Gonna put them all together next week when I get back into town. It took me several evenings when I didn't have other stuff to do. I had a PSU issue. It wouldn't turn on. I detached everything power wise and reattached and reseated the power switch headers on the mobo. This morning I finally got lights and fan spin. Now on to the OS boot once I can nab a USB and product key from the store. I'm certain the drivers will be the next struggle. I had to order an M.2 wifi card today. Can i use the rtx 2080ti instead of the 2080? Is this build okay for streaming...? Talking out of my *** here but it should be decent for streaming, nothing beats having a separate pc specifically for streaming but this build should work alright. This build should handle streaming very well as long as you have the bandwidth to do so. I'm new to PC building and I bought this setup. I'm confused by the cooling system: Is it suggested to use the radiator at the top, rear, or front of the case? I went with top, but the motherboard seems to only have 4 pin connectors for fans, whereas this setup requires 5 (1 front, 1 rear, 2 top, and 1 cooler fan on CPU). Am I missing something? I see. Not only does cooler comes with a 1:2 splitter, but also case has a built in 1:9 fan splitter. Neat. I use mine on the front of the case, saw a video about it. Front of the case has the benefit of cooling the GPU as well from some of the air that passes through the rad, and the cool air that gets pulled from outside is a bit better than the warm air from inside the case. would this build work for a 240hz monitor for csgo? I understand that you used the parametric filter for the SSD. Can anyone comment on that part? I'm seeing some mixed reviews online regarding that piece. Is there a better substitute? I'm sorry if this is a dumb question, I'm going to start buying the parts to this build and wanted to know if it comes with an ethernet port or if I need to buy the wired network adapter. Also which part effects how many HDMI ports there are or do I need to connect them via USB ports? And how many monitors could I connect to this build as is? Thank you! It was my first build too, and it took me about three nights+ to do it. I think if I would have known what I was doing, I could have done it in <2 hours. Hardest for me was figuring out how to plug the fans in properly. I had the power for the cooler pump plugged into the wrong socket and the cpu wasn't cooling, and I didn't know what I was doing wrong for about a day... a total noob mistake. But with patience and care, reading the various manuals, and googling, I think it's pretty do-able. Also, watching videos is helpful. Cable management wasn't obvious to me at first, but it's pretty awesome when you figure it out. Wear an anti-static wrist strap just in case. I think installing the video card will be pretty easy.. I have the 1080 ti as I mentioned, but pretty much you just pop them in the slot and add the power cords. My first build and it's going pretty well. I even successfully transferred my SSD to the new build. I'm about to buy the suggested Zotac Geforce RTX 2080 Blower Video Card but thought it would be a better idea to grab the 3 fanned version for better cooling. It is larger than the original and I wanted to make sure I could fit it in there while using all the ports or if I should just get a larger case. The compatibility notes says it could be too big, If I could get someones opinion on this that would be amazing! I don't get why you went all out on the cpu and gpu, the cooler is great but then you just cheaped out on everything else, the ram is not the type of ram there should be on a 1700+ pc, the storage is from wack companies, I just don't get why. You also could've easily gotten a fully modular power supply, you also spent so much on the case for no reason, the nzxt h500 is a great case, a lot of airflow and the cable management on the nzxt case is wonderful. Also a fully modular power supply would help in cable management. It's a build "guide". That's all it is. It's a build guide. I see 7k computers with cheap ic's in the memory. It's what they want. To each their own. If people see these guides, and yes more often than not they have cheap parts in a high end build, as something to build then so be it. If they choose to not research what it is they are buying then that's them. Yes an i9 in a low end budget board built for an i5 or later i3 is whacky in my eyes, it's prone to have unforseen issues. It's what they want. Thats their choice and their money. They're just guides for pc building. Again, if people see these as something great and spend their money on crap hardware without out propper research, that's them. Everyone has a problem in someone else's eyes. Have a good day. Would it be okay for me to swap the cpu to an i9 9900k? And also thinking about doing 2x 16 GB of ram for 32 total, this is my first build but i intend to use an htc vive pro with it so i want it to be as smoooth as possible lol, is that too much? Or do you guys think it would work out okay? I like it. I'm looking to do a new build and was checking this rig out. Is there a blog or forum to get input and suggestions on a build? I want to build a dedicated machine for my flight simulator. My program is PD3v4, with lots of enhancements. I'm considering running a 4k UHD curved monitor for the immersion factor. I've heard and seen that it can be done on some YT videos. Just have to have the right components, and most importantly the graphics card I understand. I've built two rigs thus far in my 'career.' Both turned out awesome. That's an excellent build, and some of the prices are even better than what I found when putting together my recent Core i7-8700K monster Hackintosh build. One suggestion that isn't too much more expensive but will yield MUCH BETTER performance is to upgrade the SSD to an NVMe M.2 PCIe SSD. 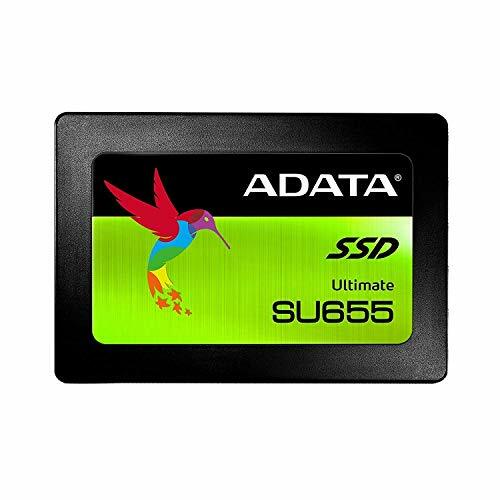 The performance improvement vs your choice of a "SATA" SSD is significantly faster for not a lot more money, and the M.2 SSDs are a better match, IMHO, to the rest of the HIGH PERFORMANCE bits you've chosen. Thanks for all you do, and keep up the good work! For a "display", I added a Toshiba 43" 4K UHD TV for only $217 more! Yes, it is AWESOME as a "computer monitor", at a FRACTION of the cost of a "dedicated" flat panel UHD computer display! Has anyone updated this to include i9 ? I came here to get a good build example but I'm concerned about incompatibility and other negative comments. I wanted to spend around £2k, has anyone built? (I'm for Adobe not gaming but similar requirements for speed). Magnificent is not the word i would use to describe something with less than top of the line specs. There is something that bothers me in all gaming builds i see here: almost in all of them (95+%), you guys add a normal HDD (wich usually is above 1TB+). Now my question is: If you build a gaming pc and you already choosed a 250-500-1000 GB SSD/M.2 , why you need another HDD?For what so much space? Anyway, as a gamer, you cant play more than 3-5 games simultaneously ( i mean for example main game to be WoW, secondary game to be LoL and third game,for casual relax CS-Go). On that 960GB SSD (btw, you mocked this system by choosing a SSD and not a M.2, but this is another subject),you can put almost 20 games that have 40-50 GB each. What you need more? Or this PC is for storage and you should change the title from Gaming PC to Storage PC. Because this is what it is. Adding a HDD and pairing it with a SSD/M.2 is the most stupid thing someone can do: more power comsuption, bottleneck,hardware/software issues,incompatibility sometimes,etc. The era of HDD is over,yet you waste money on a obsolete tehnology. First off, in normal use case NVM.e provides negligible boot/load times compared to SATA. 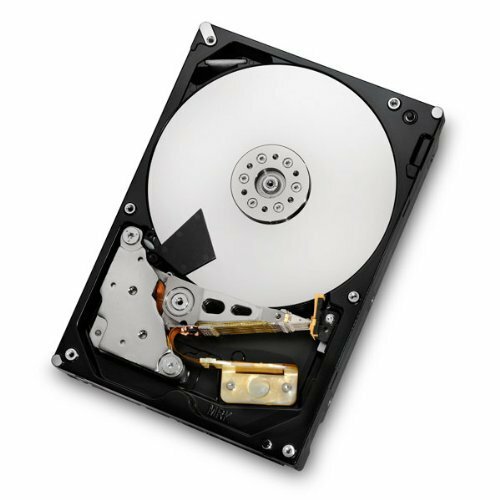 HDDs although old, provide a better value for mass storage. Most of use here have 25+ games we need to store and don’t use often, whereas we all ideally want a 2 Tb SSD it isn’t really worth the $200 price increase if we won’t use it often.